I recently wrote a column on the expanding scandal over General Motor’s release of the Cobalt and other vehicles with a defective ignition switch that may have killed over a dozen people and injured scores of others. The defect was reportedly found during testing and constituted the perfect storm of negligent designs: it would first shut off the car; cut the steering; and disable the airbags. Mary Barra, the newly appointed Chief Executive Officer of GM, told Congress that GM never puts costs ahead of safety (even though documents show GM pricing out the fix and rejecting it as too expensive). Now Barra and GM have quietly asked a federal court to protect it from product liability lawsuits due to its bankruptcy. It is like a second bailout from the government — this time through the courts — so that the company can keep billions in the federal bailout while barring recovery of billions for deaths and injuries caused by the company. Many are likely to see the move as requiring considerable hubris after insisting that the company would take full responsibility for the defect. Then there is that little matter of the prior bailout. Some have charged that GM was aware of this defective design before it lobbied the government for a massive bailout in 2009. The government handed over $49.5 billion to the automaker and the public ultimately ate a $10.5 billion loss when our shares in “Government Motors” were finally sold off in 2013. In addition to billions in losses, the public got cars that could put their lives in danger the moment they turned the ignition key. This move adds to the bad optics. After the Obama Administration sold off the shares at a loss, the company will be able to walk away with the billions in unpaid subsidies while barring members of the public from seeking to be made whole after horrific crashes in their defective vehicles. These is now a recall of at least 2.6 million vehicles and lawsuits are popping up around the country, including some that directly contradict the recall information sent out by General Motors. When GM finally got around to recalling the cars, it told customers not to use heavy key chains with other keys on the ring. It was a chilling piece of advice: suggesting that keys on your chain could cause a catastrophic crash in the cars. 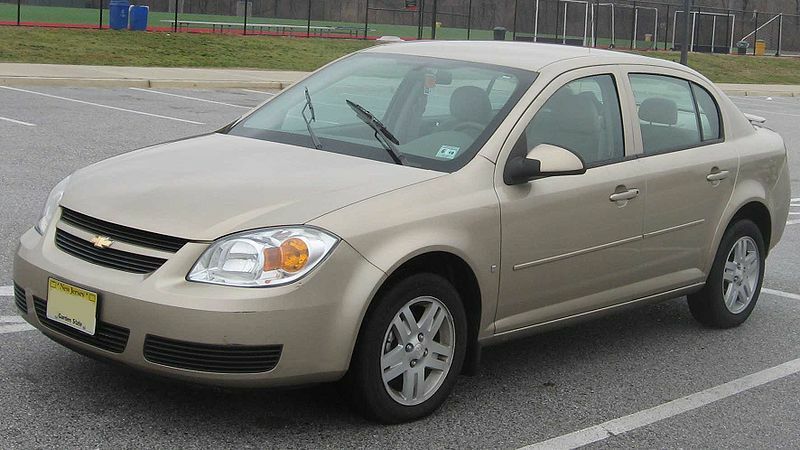 However, Barra was recently informed by an attorney that his client Laura Valle was driving her recalled 2007 Chevrolet Cobalt without such a chain. Nevertheless, the ignition suddenly cut off, her steering locked, and she was unable to steer her car. GM is seeking a declaratory judgment from a bankruptcy court in New York that it is shielded from products liability suits concerning defects and crashes prior to July 2009, when GM exited bankruptcy. GM is also arguing that it is protected under warranties for “Old GM” products for three years or 36,000 miles after purchase. Notably, this technique has worked in the past. When GM moved into bankruptcy in 2009, it was facing about 2,500 lawsuits of various kinds and was able to just pay pennies on the dollar. There are already about three dozen lawsuits over the ignition defect. What I find most disturbing is the possibility that GM knew about the defect in 2009 when it filed for bankruptcy. Documents suggest that the company may have known before the company sought the status — and sought the bailout. Yet, it did not mention this looming liability issue. If there was an effort to conceal that knowledge, both the bankruptcy and bailout could be viewed as a rather dishonest anticipatory move before the onset of lawsuits. As it stands, the government has effectively subsidized a company in the allegedly knowing release of a lethal product. The billions simply given to the company without repayment will likely cover much of the damages for GM. That will add to the criticism of the government bailing out this company rather than leaving such matters to the market. First fihd out is iit safe to offer all the personal details to find a datung partner. Did you think it was necessary to sum up the article for us, or were demonstrating your reading comprehension skills? Or were you guessing?